Albertsons Coupon Match Ups 4/10 | $0.88 Post Cereal & Much More! 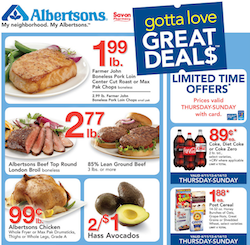 Here are your Albertsons Coupons & Deals for the week of 4/10/13. Be sure to check out the Albertsons Coupon Policy before you shop! Also, check out the Albertsons Ad before you shop too!